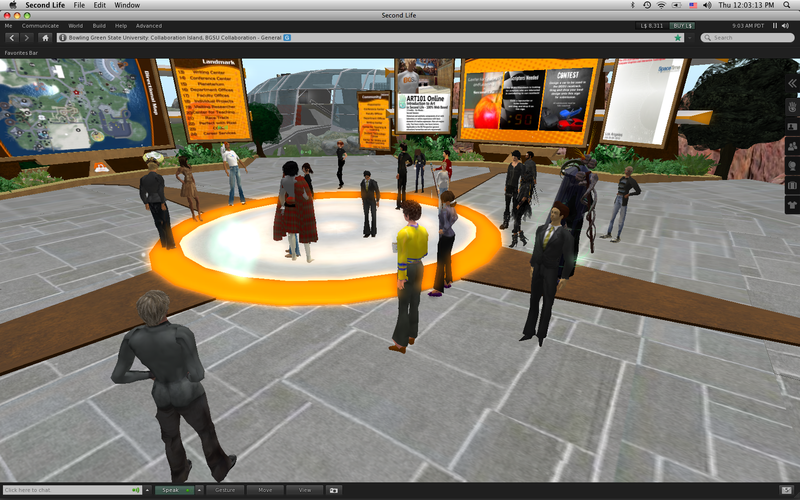 There was a lot of activity on the Virtual Campus this week as the Pedagogy and Scholarship Using Virtual, Online, and Mediated Environments Learning Community (PSLC) at BGSU met in Second Life to for the first time. 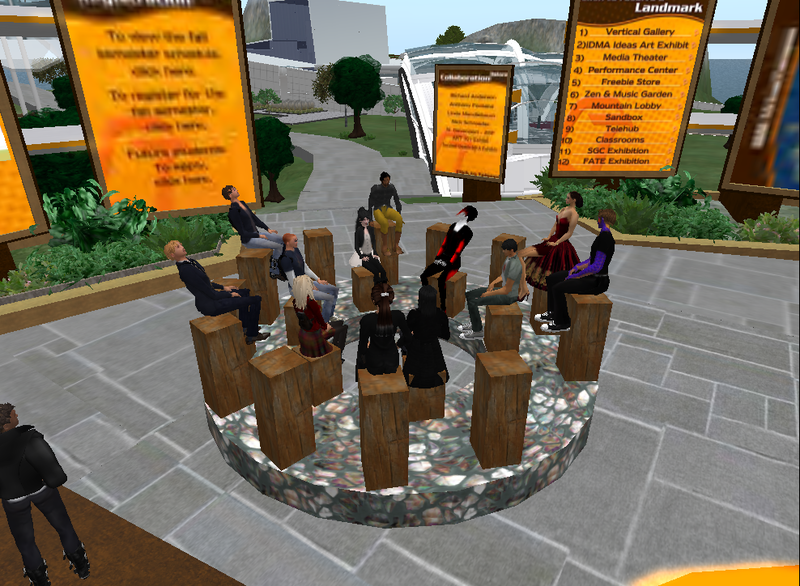 The Gronstedt Group’s weekly “Train for Success” meeting met Virtual Campus Co-Administrators with Bonnie Mitchell and Anthony Fontana who gave a tour the BGSU Campus. A BGSU Art Student in Fontana’s Artist Methods and Practice course is re-imagining a number of popular video game weapons in a “steampunk” style. Follow his work on his blog: http://blogs.bgsu.edu/steampunkgaming/. It is time again to apply for a wonderful Learning Community at The Center for Teaching and Learning! 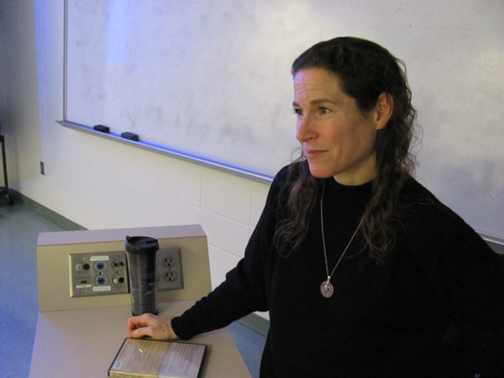 CTL Learning Community Members receive $250 in Professional Development funds each semester. 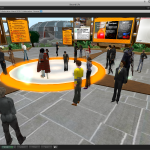 The BGSU Second Life Learning Community provides an opportunity for faculty, graduate students, and staff to develop effective strategies for pedagogy and scholarship using virtual worlds. 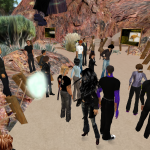 Through collaboration, discussion, and shared discovery, the learning community will focus on ways in which teaching and learning can be enhanced through the use of avatars, immersion, interactive learning objects, and social interaction in the virtual world. 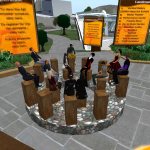 • Collaborate, interact, and support other faculty members interested in exploring ways of integrating Second Life in to their pedagogical and scholarship goals. 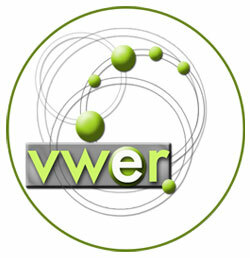 • Engage in discussions with interdisciplinary learning community members. • Discover and share successful pedagogical strategies. 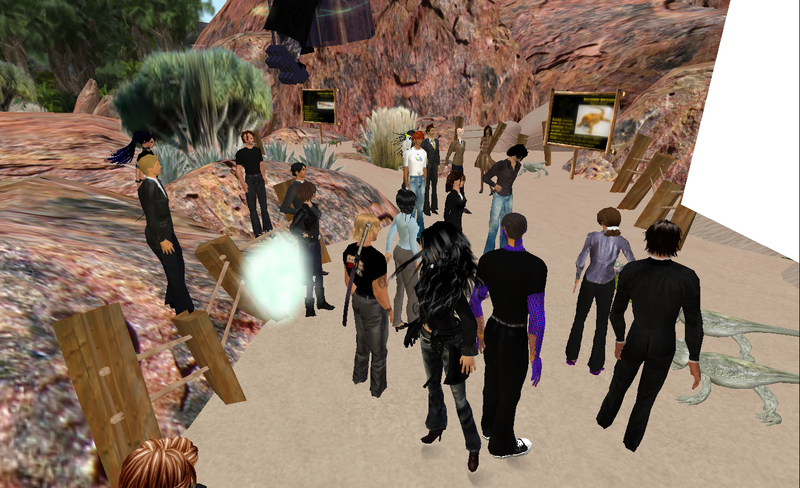 • Investigate possible research methodologies and topics related to virtual worlds.